Is Iran About to Lash Out at Its Dissidents? The United States and five other major powers negotiating about the Iranian nuclear program agreed to a four-month extension of the talks until Nov. 24. This period is a time of peril for opponents of the Islamic Republic of Iran, who have been of great value in revealing intelligence about its nuclear cheating. 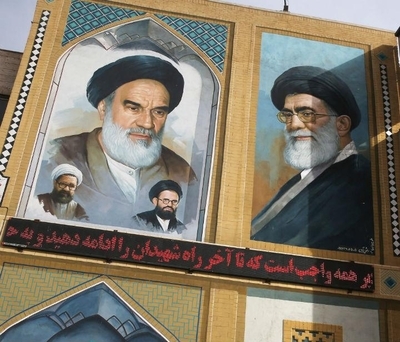 It's possible that Tehran may use its negotiating leverage in this phase to attack its dissidents in Iraq, including the National Council of Resistance of Iran (NCRI), the main resistance group that rejects clerical rule, and its largest unit, the Mujahedeen-e-Khalq (MEK). Because the resistance is instrumental in exposing double-dealing by Tehran, it may attack to end dissidents' ability to reveal regime secrets. It's time for Washington, for which the regime opponents have long been a useful ray of light on the covert Iranian nuclear weapons program, to use its diplomatic leverage with Baghdad to protect them while getting the dissidents out of Iraq to safer countries, including the United States. As the July 20 target date approached for reaching the nuclear accord, the Iranian regime's media person at the U.N. penned a letter to the Wall Street Journal, which I countered with an accompanying one. The regime spokesman launched an ad hominem attack on the main source of a Journal editorial, the NCRI, without dealing with the substance of the evidence. Because that organization has an excellent track record exposing the regime's lack of transparency and noncompliance with its financial and nuclear commitments, the PR attack failed. During his first news conference in June 2013, Iran's President-Elect Hassan Rouhani claimed that its nuclear programs were completely transparent but promised "even more." Because of Iran's deceitful record on financial and trade sanctions, however, Jonathan Schanzer and Mark Dubowitz of the Foundation for Defense of Democracies (FDD), demonstrate there is "no such thing as a good Iranian Bank." They argue, "History will judge whether the president [Barack Obama] was right to compromise with a regime that has a long track record of nuclear mendacity." Despite Rouhani's claims, Tehran is not transparent in its nuclear program, particularly regarding possible military dimensions. In referring to NCRI revelations about Tehran's nuclear activities, President George W. Bush stated in 2005, "Iran has concealed its…nuclear program. That became discovered not because of compliance" with the International Atomic Energy Agency (IAEA), "but because a dissident group pointed it out to the world."